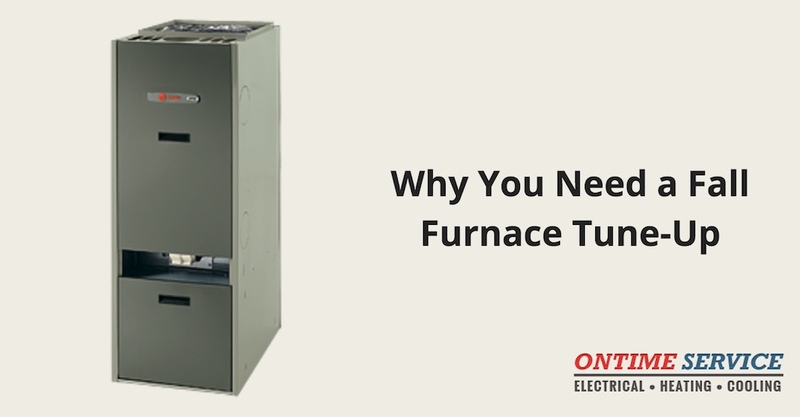 There are many reasons why you need to schedule a professional furnace tune-up before winter hits, including safety, efficiency, and financial reasons. Scheduling a professional furnace tune-up means getting a trained technician who will take a look at your complete heating system, both inside and out. You wouldn’t go years without servicing your car, so why go that long without checking your heating system? As with any complicated machinery, regular maintenance is needed. Otherwise, your equipment will depreciate quickly, possibly cutting its lifespan in half or worse. Seasonal maintenance in the only way to guarantee that your heating system works properly throughout the winter months. One of the consequences of not scheduling HVAC maintenance every fall (for heating systems) and every spring (for cooling systems), is that your unit will probably break down during one of the coldest (or hottest) days of the year. Keep in mind that during extreme weather, HVAC companies are swamped and you may not be able to receive service for days. Instead of blaming the Heating & Cooling company for being understaffed and overworked, take the necessary precautions by scheduling furnace and heating maintenance before you need it! Preventative maintenance is key for detecting problems before they turn into emergencies. Some common culprits include worn motor belts, dirty air filters, dirty coils, malfunctioning burners, and combustion problems. There are many parts to your HVAC system and they must all be inspected in order to ensure a properly working system. While you may be able to survive the winter season without ever having to call an HVAC professional, keep in mind that dirty systems can increase your energy bill by about 20%. While you may be feeling lucky that no breakdowns or major repairs have occurred, you may not feel so smart when you realize that it would have been a lot cheaper to call a professional in the beginning of the cold season before a clear issue arises. • Condenser and evaporator coils are clean. All gas and oil connections will be inspected for leaks and safety. 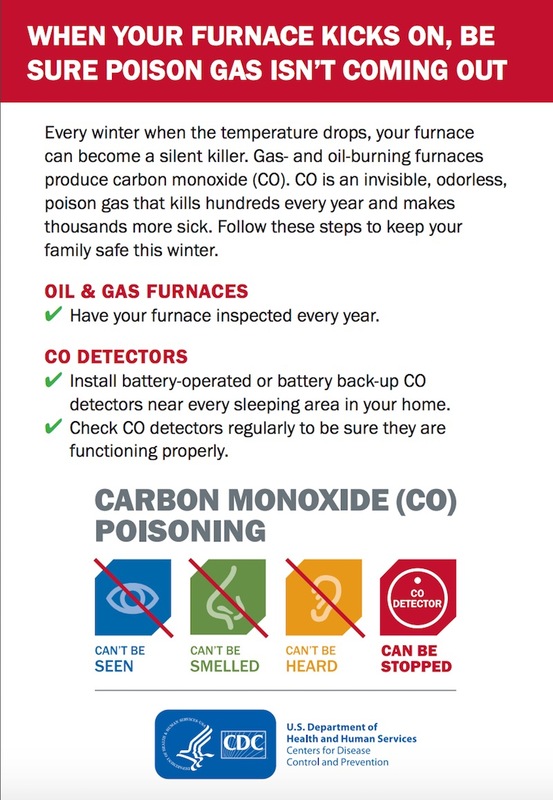 Any fuel-burning appliance will produce harmful carbon monoxide gas that can lead to comas, seizures, and death. Any leaks, however small, in your heating system can put your family in danger. Scheduling professional heating maintenance will give you peace of mind that you have no dangerous leaks. In addition to scheduling preventative maintenance, you will also want to test all of the CO detectors in your home every 30 days (along with your smoke detectors). See this CO Safety Sheet from the Centers for Disease Control (CDC) for more information. Give OnTime Service a call to schedule your electrical safety inspections at 205-942-1405. Our experience team of electricians is fully trained to handle any electrical system. will troubleshoot your home and give you straightforward pricing options.